The much-anticipated medical entrance exam, NEET 2019, will take place on 5th May. For the first time, NTA will administer the medical entrance exam in the offline mode. It is expected that around 13 lakh students will appear for the test for approximately 66,000 seats in the country’s top medical and dental colleges. After the exam is over, all eyes will be fixed in the post-exam processes, which include the announcement of results, qualifying cut-offs and counselling. All these factors play a decisive role in placing eligible candidates in the top medical and dental colleges for MBBS and BDS courses. Gateway to country’s best medical and dental institutes, NEET escapes students from appearing in a wide range of medical examinations such as AIPMT and many state and university medical exams. Aspiring doctors need to crack the NEET exam and grab a seat in their preferred college that accepts the NEET score. Clearing the exam involves a lot of hard work, planning, strategic thinking and a lot of practice. If you are ready to take the upcoming NEET exam on 5th May 2019, here are some significant points that lead you to the best medical colleges in India. 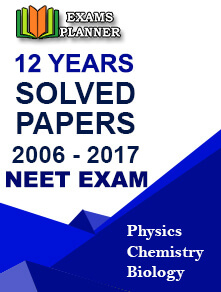 NEET 2019 Answer Key: With the help of NEET answer key 2019, students will be able to get a rough idea about their marks. In case of discrepancy in the answer key, candidates can challenge it within the stipulated time by paying INR 1,000/- per answer. NEET 2019 Result: The National Testing Agency will declare the NEET exam result on 5th June 2019. It will be available in the form of a scorecard on the official website i.e. www.nta.ac.in. The NEET scorecard 2019 will have details of candidates’ name, parents’ name, gender, nationality, AIR rank, percentile and marks. NEET 2019 Cut-off: The NEET cut-off is the minimum eligibility marks to qualify the exam. For the general students, the minimum mark is 50%; for the reserved category students, it is 40%. NEET Counselling 2019: NTA will start the NEET 2019 counselling process from the second week of June. It will be done in two categories – 15% AIQ Seats and 85% State Quota Seats. Candidates need to register themselves for the process where they need to fill up the preferences for admission. Those who make through successfully and are allotted seats need to report at the allotted colleges within the prescribed time. Only the candidates belonging to Jammu & Kashmir are exempted from this. They would be declared eligible only on the basis of self-declaration.